As a staunch advocate of human powered vehicles, I am thrilled to see that bluevelo has opened an assembly shop in Kitchener. 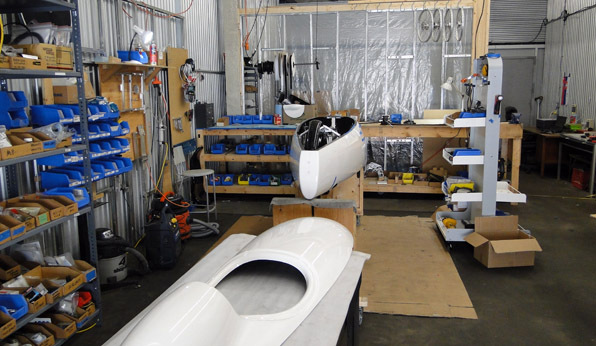 The shop is assembling velomobiles for distribution all over North America. 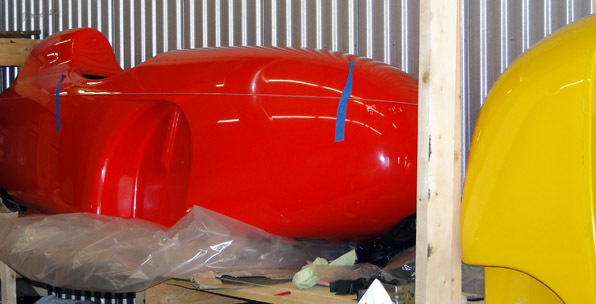 Below, a QuestXS is being prepared for shipment to the Midwest. In addition to the Quest, bluevelo also carries the Strada shown below. They also sell Cab-Bikes which is a design out of Germany. Bluevelo has the shells for the Cab-Bikes manufactured in Oakville, Ontario and offer as an option the Canadian made BionX intelligent drive system. The 2010 Bicycle Plan developed by the Los Angeles Department of City Planning was recently brought to my attention. The plan states that there are now more than 60 fixed transit stations located within the City of Los Angeles. However, since most travelers still need to go some distance from the station to reach their final destination, the plan suggests incorporating other transportation options within these transit hubs. Examples include car share and vehicle charging stations, and a variety of services oriented to bicyclists such as attendant operated showers, restrooms, bicycle repair, and bicycle lockers. 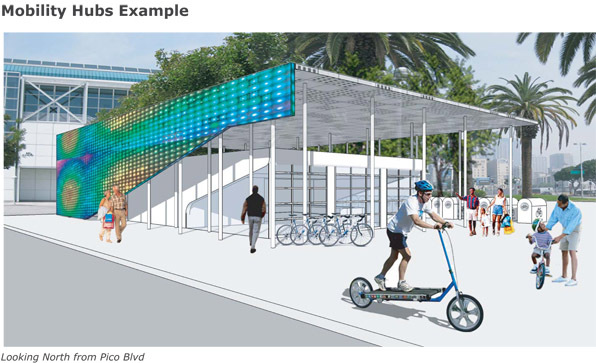 While these are all great developments, what I find most exciting about the plan is that the artist rendering of a proposed mobility hub includes a traveler leaving the station on a Treadmill Bike! It looks like the Treadmill Bike might just be the future of urban transportation after all! You are currently browsing the Bicycle Forest Blog weblog archives for August, 2012.